Gift Guide’18 #3 As the Holiday Season gets closer we have more gift ideas for that special cyclist in your life, or your self. Another big mix: The Quick cyclocomputer from Cat Eye, socks and hoody from 3T, Smith Windcat sunglasses, To Make Riders Faster book, Pirelli Cinturado, the new KICKR Smart Trainer by Wahoo, Danny Shane Modern Classic jerseys, Spurcycle saddlebag and the 2019 Darrell Parks Cycling Calendar. You can see PEZ 'Gift Guide'18' #1 HERE and 'Gift Guide #2' HERE. The Cat Eye website HERE. For those who love historical and prestigious brands, two suggestions among others: 3T socks and hooded jumper. The 3T logo is synonymous with a brand that since 1961 has been made a name for itself in the cycling world for the quality, simplicity and beauty of its products. 3T has a track record of being ‘first': they were the first to introduce many modern alloys to the cycling field, a dedicated aerobar, dedicated gravel wheels, an aero gravel frame and the first 1x aero road bike. If you like this brand and their minimal style here are some items not to be missed. 3T Socks Elastic and enveloping technical socks with anatomic cut. They are made of elasticated polyamide microfibre, and characterized by a wrap-around band in the center of the foot and optimal micro-network areas for a better fit and breathability. Available in black or white, and in two different sizes (35-40, 41-46). The hooded 3T Jumper is warm and comfortable to wear; made of cotton (80% cotton and 20% polyester) and it is available in sizes from S to 3XL. Black with 3T logo on top left chest. All the 3T clothing on the website HERE. The new Wildcat, a hybrid-construction cylindrical lens performance sunglass provides extra-large coverage and protection like a goggle with the airflow and comfort of a sunglass. Constructed from durable TR90 and flexible TPU used in Smith goggles, the Wildcat has a multi-adjustable nosepiece so it can be moved closer or further from the face to adjust airflow, while also offering a customizable fit. The nosepiece and temples are comprised of megol which reacts to perspiration by gently adhering to the skin for a comfortable, no slip fit. The Wildcat offers riders exceptional versatility with an interchangeable Everday ChromaPop™ lens to reveal natural color, enhance visual clarity and provide greater definition of objects and a clear lens for low light, overcast days, or when riding under tree canopies. Both lens options are equipped with dirt, dust and grease resistant coatings. The full range on the Smith Optics website. Hot off the press this is the story of two university students whose ultimate goal was to maximize aerodynamics To Make Riders Faster. They went from building a rudimentary jig and laying up carbon in a basement to building a brand that just about everyone wanted to be a part or wished to emulate. It’s the inside story of Cervélo Cycles and it’s a truly great read for any cycling fan. More than just a coffee table book TO MAKE RIDERS FASTER is a 256-page hardcover book with the story woven through words, pictures and quotes - a unique combination coffee-table book and business biography that reflects the Cervélo brand. You can read the PEZ review in Bookshelf HERE. 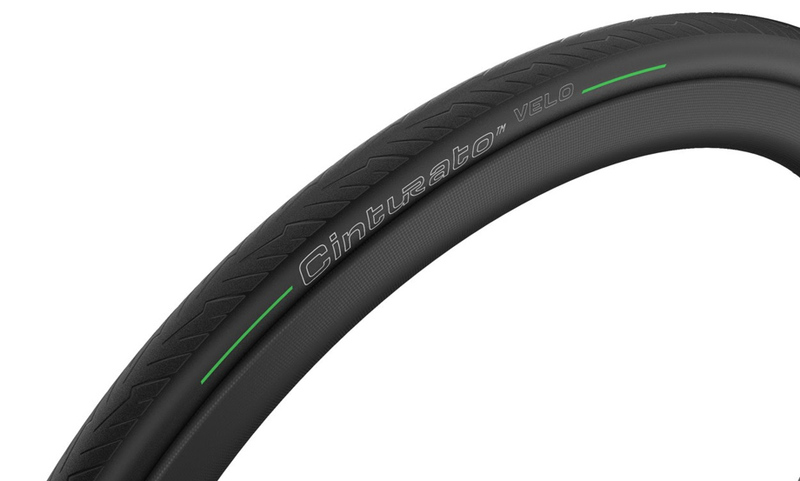 Pirelli Cinturato™ Velo is a reinforced tyre, which can be used with and without an inner tube, and which offers extreme reliability in all road conditions, even the most adverse ones. It is a tubeless ready that combines durability, resistance and comfort. The name evokes protection, safety and, above all, toughness in any context of use on the road, thanks to the two specific rubberized fabrics that "belt" the housing. From road competition to training, from light gravel to Fast Commuting: Cinturato Velo is not afraid of the road nor the weather. It is a gift suitable for all cyclists, both men and women. Along with their legendary styles, all DS jerseys feature a full zip, an "American Race" cut, and DS's renowned, incredibly soft and highly technical BWA (50% bamboo) fabric. One of the new standout styles is the Aston Jersey, inspired by the beauty of the Rainier Valley: Mount Rainier stands out across the entire Pacific Northwest, and that bold presence is translated into this bold white-on-red, architecturally inspired design that is sure stand out on any ride. Full Danny Shane Collection: dannyshane.com/collections. Likened to an old-school lunch bag, there are no zippers to jam or break. Bring only a tube or pack the bag with extra preparedness. The dropper post compatible Saddle Bag expands or contracts to fit its contents and comfortably carry your peace of mind. A wide velcro strap wraps firmly around everything and fixes securely around the seat rails. 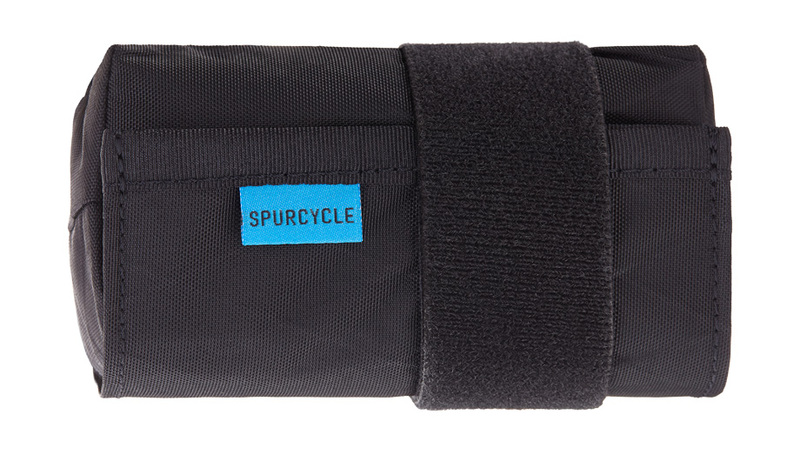 The result is a compact saddle bag that stays tucked up neatly with no sag. Made out of weatherproof X-Pac sail fabric, the ready-to-load pouch measures 6.5” tall with a 4.5” x 2.25” opening. The bright interior makes it easy to see the contents with enough space to accommodate a 29” tube, tire levers, CO2, and multi tool. More info on the Spurcycle website. 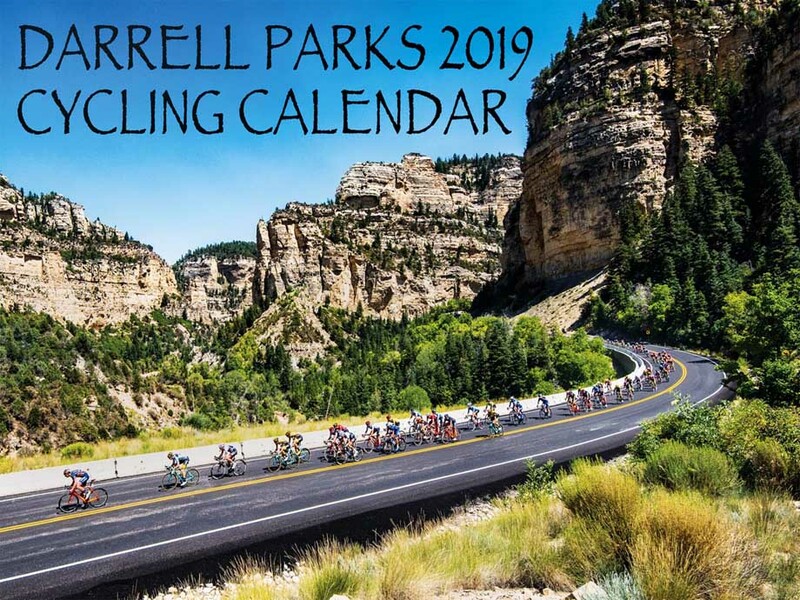 The “Darrell Parks 2019 Cycling Calendar” is jam packed with outstanding race photography featured here on PEZ throughout the year. Darrell has captured all the grandeur of big American stage racing with stunning images from this years Amgen Tour of California and the Larry H. Miller Tour of Utah. The 11 by 17 inch, spiral bound calendar, features sixteen 8.5 by 11 inch full color images with additional images featured every month. The calendars are just $15.95 plus shipping and handling. Keep it PEZ for more Holiday Gift Guides in the build up to December the 25th. Note: PezCyclingNews ask that you contact the manufacturers before using any products you see here. Only the manufacturer can provide accurate and complete information on proper / safe use, handling, maintenance and or installation of products as well as any conditional information or product limitations.